This post (which, I think, remains unfinished, a bunch of thoughts not completely unified) is how I wrote my way into yesterday’s post. But rather than let it waste away in the drafts folder, I chose to publish it anyway. It’s my blog and I can do what I want to. 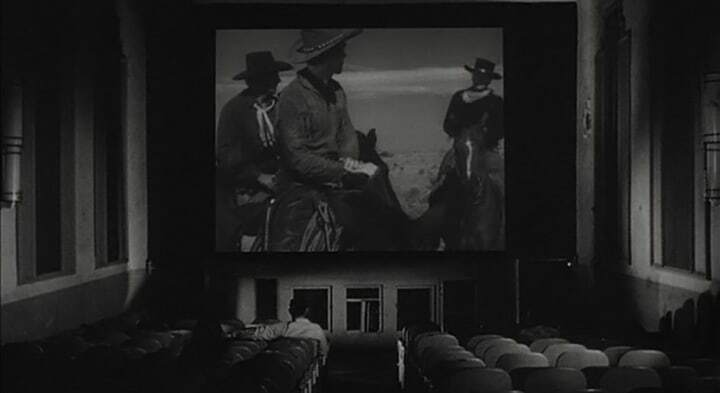 “Red River”, as it happens, factored into a piece David Thomson wrote for Harper’s Weekly in 2015 about how the difficulty of maintaining physical film has led to so many films, of the Silent Era and beyond, being lost. Tucked within there, though, was also a lament for how a certain way of watching movies was being lost too. “‘Red River, ’” wrote Thomson, “was a river as much as a story, and forced you to stay with it. With a book, you could pause before the denouement and have a nap. The book would wait patiently. The music you liked was on a record; you could go back and revisit its immediacy until you knew it by heart. But a movie was wild and it went away.” Now, in the age of streaming, a movie can wait like a book, and you can go back revisit a movie like a record. This is not necessarily bad. New Yorker critic Richard Brody has emphasized the virtue of pausing a movie mid-stream to better soak up the experience, and rewatches of movies frequently open them up further in our minds, allowing us to really get a handle on how what a movie’s doing to make us love it so. 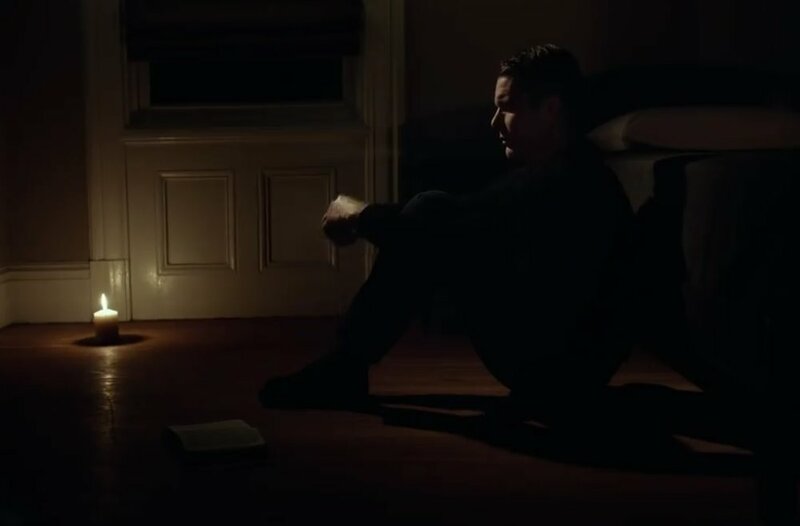 What Thomson is talking about is not really Slow Cinema, a style of filmmaking emphasizing flat visuals and long takes, but Slow Cinema’s intent to envelop you in the experience still cuts to the heart of what Thomson suggests is being lost. Paul Schrader, who made his recent film “First Reformed” in the Slow Cinema vein, noted in a recent Now interview how old movies look slow to us now because “We’ve retrained our brains to perceive imagery at (a hyper-speed) level,” a product of the unrelenting technological advances in our world, a progression that Thomson charted in his mammoth 2012 book “The Big Screen”, where he both grieved for what was, acknowledged inexorable change, and fretted over how that change is poised to leave movies not so much dead as dead as we currently know them; or, how we used to know them. Therein lies the recent Netflix v Steven Spielberg debate that touched off a little while back when the latter implored the Motion Picture Academy to change its award guidelines so that only films with a minimum 4-week theatrical run would be considered Oscar-eligible. Spielberg is a populist, no doubt, and, who knows, he may well be seeking to discredit streaming entirely on its own terms. If so, that is a reductive stance, one that films such as “The Ballad of Buster Scruggs”, one of last year’s finest releases in any format, whole-heartedly refutes. What’s more, streaming has leveled the playing field, with Ava DuVernay noting on Twitter that Netflix “distributes black work far/wide.” That’s a noble aim. And Netflix’s response cited the access it provides for those further from movie theaters. Indeed, Netflix’s model is a burgeoning monolith, evoking shades of the old studio system. The studio system had myriad problems, absolutely, and needed to be broken, no questions asked, from a labor point-of-view, but they also knew how to craft movies. Netflix, frankly, is less about craft than filmmaking formula based on algorithms and flooding the marketplace with that algorithm-inspired content. Can you imagine Netflix giving rise to something as potent as Film Noir? Why do you think Netflix cuts off closing credits filled with the names of so many hard-working crew members to cue up the beginning of another film or TV show their calculations have ascertained you will might not enjoy?